To recycle or not to recycle: That’s the dilemma you face when you’re ready to toss out the plastic cap that came on your soda or water bottle. For years, recycling programs across the country have told their residents that plastic bottle caps could not be recycled curbside with their other plastics and instead, should be disposed of in the garbage bin. But industry groups say that with advances in technology and increased demand for recycled plastics, bottle cap recycling may be coming to your city in the near future. 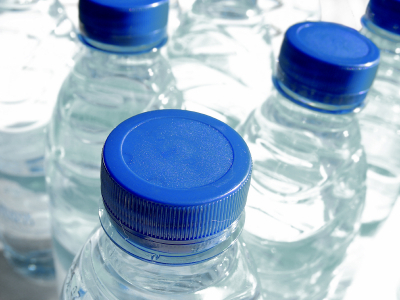 While most plastic bottles are made from PET #1 plastic, their caps are most commonly made from polypropylene, or plastic #5. These two different types of plastic melt at different temperatures during the recycling process and therefore, need to be processed separately. Leaving a cap on the bottle has also traditionally created problems at the sorting facility. When bottles are crushed for shipment, caps can shoot off at high speeds, causing a safety hazard for recycling workers. Or if the bottles aren’t crushed but caps are left on, the bottles retain air and take up too much space, meaning fewer bottles can be transported for recycling. Many of these technical issues have been resolved and the “Caps On” initiative has been launched to educate consumers, cities and waste management companies about plastic cap recycling. Recycling processing equipment has improved over the years, the organizations say, allowing bottles with caps on to be compressed without the projectile issue and the two materials to later be divided into their separate plastic streams. With these technical advancements, leaving caps on the bottles may actually make the recycling process run more smoothly for sorting facilities, the organizations found. This is a step in the right direction as studies show that when there are simpler instructions for recycling, consumers are more apt to recycle! Stay tuned for the next article in this series: Recycling availability – labeling that helps the consumer make an educated purchase.